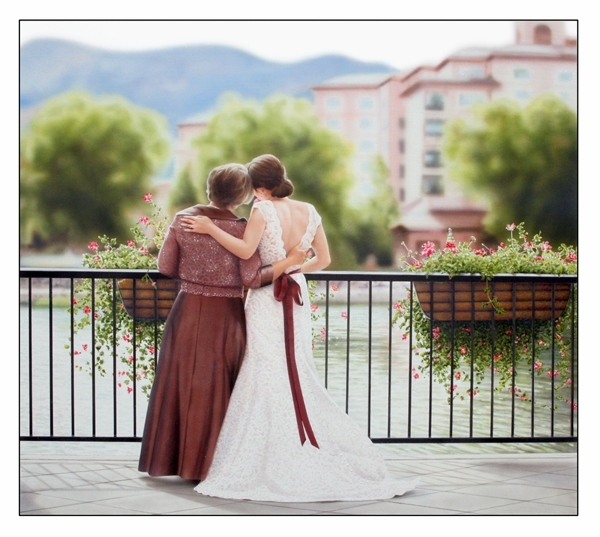 Wedding portrait mother and bride. Unusual to have a back view ! Very beautiful painting, executed well! Very talented artist!